Qualcomm has a unique position in today's smartphone industry thanks to the large number of devices that use the company's Snapdragon processor. Think about all of the recently launched high-end models carrying the APQ8064 that allows for both quad-core processing and LTE processing. And we've pointed out many times how many mid-rangers are driven by the dual-core MSM8960 processor. As a public company, Qualcomm holds an annual meeting, well, annually. This year's meeting came with a prediction that 5 billion (with a "b") smartphones will be sold between 2012 and 2016. That is a lot of handsets and if you lined them up from the earth to the moon, it would still be a lot of handsets. The chip manufacturer added that mobile devices are changing the computing world and that Qualcomm is focused on connectivity, battery life and portability. The company sees 650 million tablets and laptops sold in 2016 alone and expects to see strong demand for LTE chips to be used in mobile computers as well as for tablets. S4 Pro is the best! Come on Qualcomm, get on about building an LTE chipset that can switch bands and channels to work on pretty much any LTE network. These guys are ace with chip/baseband radio all in one SoC, so I expect them to announce something that can handle 4G on GSM and LTE+Advance. Crosses fingers xD. 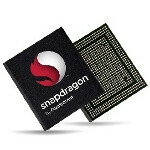 well... its true1 most of the phones right now is powered by snapdragon!! and exynos 5 is still on the nexus 10 only! maybe we'll see it on galaxy s4! i wish tegra 4 will be available soon!